Para sa 'yo 'to bro! Imee pitches for Bongbong's protest vs Leni: in TV debate: Dapat binibilang ang boto! Para sa ‘yo ‘to bro! Imee pitches for Bongbong’s protest vs Leni: in TV debate: Dapat binibilang ang boto! 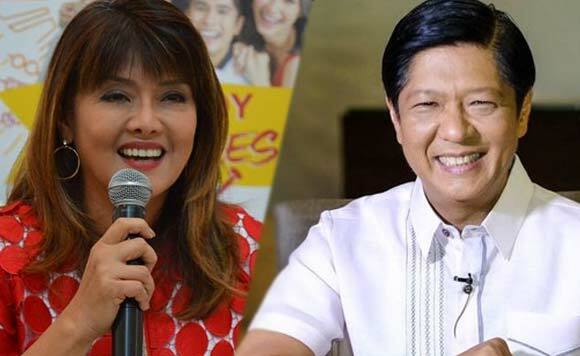 Ilocos Norte Governor Imee Marcos is going out on limb to boost the electoral protest filed by his brother, former Senator Bongbong Marcos, against Vice President Leni Robredo. In the GMA senatorial debate, Imee went off-topic during the face-off segment with De La Salle University Law Dean Chel Diono when she squeezed in her stand of electoral reform while the the topic was lifting term limits. “Higit sa lahat, electoral reform para talagang nabibilang ang mga boto, malaya ang mga bumoboto,” said Imee. Imee was referring to the 2.5-year old protest of Bongbong questioning the narrow victory of Robredo (Bongbong lost by 263,473 votes) and accusing the former administration of using its influence to cheat in the VP polls. The case is still pending with the Presidential Electoral Tribunal.